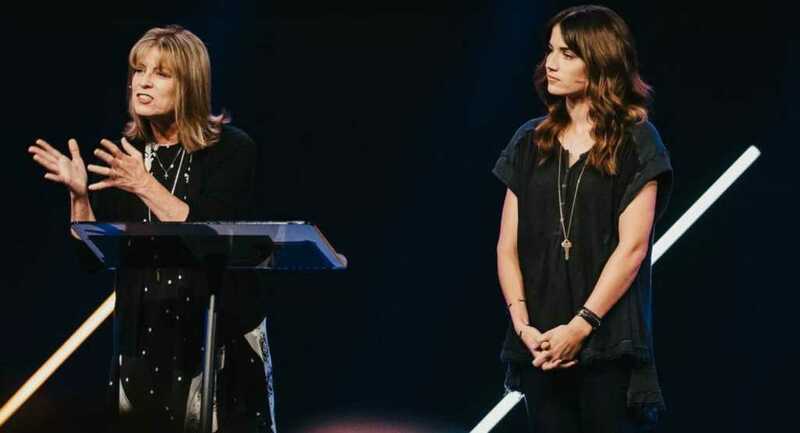 The wife and mother of California Pastor, Andrew Stoecklein, have delivered his final sermon message three months after he took his own life. Pastor Stoecklein had been battling severe mental illness in the months leading up to his death, but had returned to work to deliver two messages in his “Hot Mess” series. He was just a couple days away from preaching the third and final message when he died. In a heartfelt intro to the final message, entitled “Moving Toward the Mess,” Carol talked about the rapid decline in Andrew’s mental health in the months preceding his death and commended him for being willing to help others by openly sharing his story of suffering. In the wake of Andrew’s death, Carol said that the family has been left with “a thousand unanswerable questions,” but commended her brave son for revealing his mental health struggles to the Church and using his own experience as inspiration to release and heal others going through similar turmoil. Stoecklein admitted that mental illness is extremely complex, noting that Andrew’s psychiatrist, who had decades of experience in mental health care, told the family that we know but a “drop in the ocean about the mind.” Mental health conditions are multi-faceted and often extremely confusing to both those who are close to the sufferer and to the sufferer themselves. If you or anyone you know is struggling with depression, thoughts of suicide, or you just need someone to talk to, call the National Suicide Prevention Lifeline at 1-800-273-8255. If you are looking for a counselor in your area, consult the Christian Counselors Network.